- Full count 600 Denier. - Insulated 12 can cooler. - Style ships from Irwindale, CA. 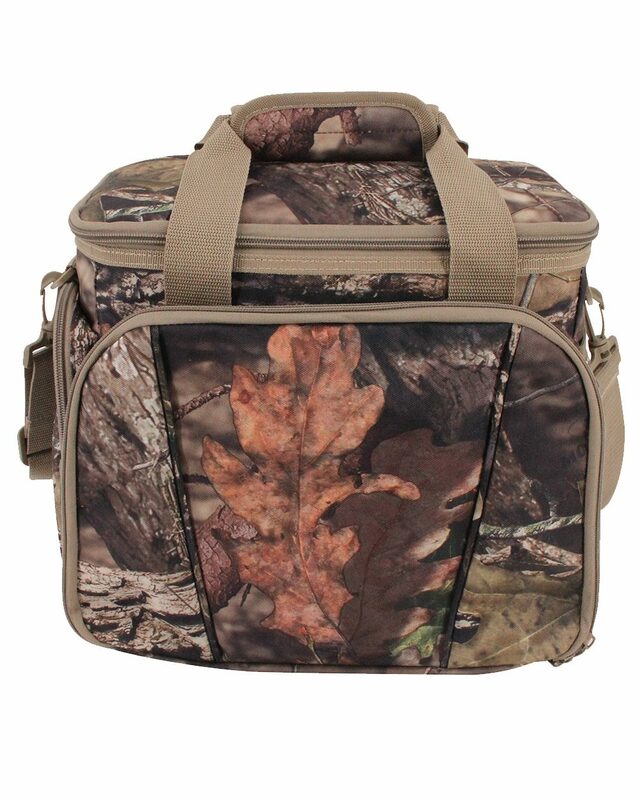 Liberty Bags 600 denier Sherwood Camouflage Cooler. Full count 600 Denier. Insulated 12 can cooler. 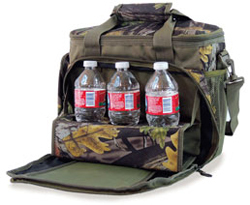 Unzip the front pocket to reveal a pull-down tray that securely holds 3 drinks. Side zip and mesh pockets holds incidentals and other supplies. Fabric wrapped handle. Detachable, adjustable strap. Non-branded label/tag. One Size: 12" x 11" x 7". Color: Sherwood Camo. Style ships from Irwindale, CA. WARNING: This product can expose you to chemicals including Di(2-ethylhexyl)phthalate (DEHP), Di-n-butyl phthalate (DBP) which is/are known to the State of California to cause cancer and/or birth defects and other reproductive harm. For more information, go to www.P65Warnings.ca.gov.